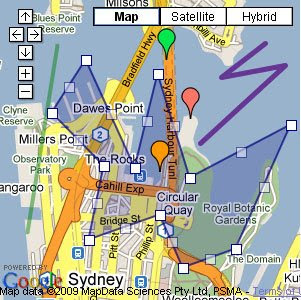 When Google Map was first revealed to the world many in GIS industry were stunned how simple to use, fast and good looking it was. Such result was possible only because of ingenuity of Google map creators. The traditional way to publish maps over the Internet was to use specialised mapping servers to render GIS data into a simple image and then to serve that single image to a browser for display. A new map was generated every time users panned to a different location or changed zoom level (since there is an infinite number of combinations of map extents and zoom levels it was impossible to generate those maps in advance). And those maps were always less than perfect because every display rule had to be predefined for the entire map and for every possible zoom level. In case of very detailed maps the complexity of defining those rules was very often beyond the capacity of map creators. Google map developers had broken with that tradition. They opted for a solution where maps could be produced in advance and served as small tiles for assembling into one big image at user end. The advantage of this approach is consistency of appearance and graphical quality of the map (which was rare prior to release of Google Map!) and, probably more important, enormous scalability that could be achieved. There is no need for server side processing to generate maps and individual map tiles are much smaller than the whole map presented at the user end, so they are able to be delivered and displayed much faster. The trade off was a big effort up front to generate nice looking maps and the need to fix zoom levels rather than allowing a continuous zoom, as is the case with the traditional approach. It was solution tailored for the web, and sure enough, the web community embraced it from day one. 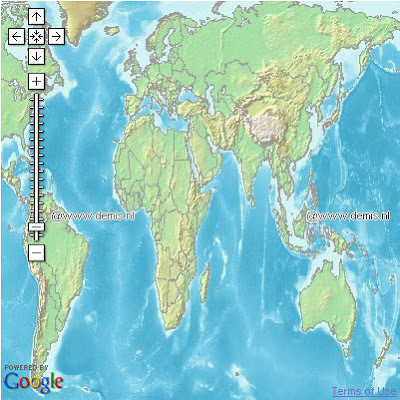 The approach has been now copied by all online map technology providers. There are many ground breaking solutions applied in the design of Google map but I want to focus on one more revolutionary idea of Google team. What started as simply clickable markers on the map has now been extended to include polylines and polygons – that is, they have found a way to include vector data utilising VML and SVG capabilities of standard browsers. Sure, there is a capability to generate vector based maps in pure SVG, Flash or Java but no one succeeded to do it on a mass scale in a standard browser environment and without additional plug-ins. So, where are the limitations then? The main are outlined below, with some commentary. Although Google exposed a number of server side processes to developers, like geocoding, parsing KML, etc, but there is no access to "map server" side of the application simply because Google Map does not have one! The only way to add tiled content without deploying your own map server is to follow Google's tedious process of creating 2-3 different representations of the map for various scales - as graphic images - then cutting them into tiles. There are good tools around to do it but still, it is a very labour intensive approach (for example: Maptiler for images and gmapcreator for GIS data). Adding content dynamically from external map servers is not without the problems. Even if you master Open Geospatial Consortium’s standards on Web Map Service (WMS) and Styled Layer Description (SLD) there is a good chance that the service you intend to use will not support Mercator projection required for Google maps (eg. very popular topographic map service from demis.nl is one such case). And for obvious reasons Google maps cannot be presented in other popular projections. Then there is an issue of multiple map tiles again. The bigger the viewing area, the more 256px by 256px tiles are required to present the complete map on the screen. Each tile is a single call to external map server and, with dynamic data, each tile has to be generated from scratch. Each pan and zoom on Google Map translates to multiple calls to external map server. In times of high demand this may flood map server with requests and bring it to halt. There is another limitation often overlooked by developers although this is not Google map issue but rather relating to bad programming practices. Continuous refresh of dynamic content (ie deleting and creating new objects), if not programmed properly, may lead to a gradual build up in memory use by the browser - to the extent that the computer will stop responding to user actions. It is not a big issue with smaller applications used for a few minutes at a time but becomes a significant problem when they get more complex and are used on continuous basis. So, in conclusion, can Google Map ever aspire to be a fully fledged GIS? 2. Dynamic vector data management module – server and client side (ie. server side to serve generalised data suitable for the current map zoom level and client side to efficiently store that data for the session and to display appropriate level of detail without the need to continuously download the data from the original source). Google has already come up with the initiative to store and distribute geographic data for anyone free of charge so, the two above would be a natural progression in the quest to efficiently serve that data. all very useful information and very much appreciated.